His comments follow the Director of Bridges at the Authority Yaqub Koray telling the Super Morning Show on Monday that plans are in place to complete the six footbridges on the N4 Highway within 2019. “We are using the fastest route possible in the procurement process and we are going for the sole sourcing method. And this will have to go to the Public Procurement Authority for approval and that is not in our control. We expect that by the end of this month, all that will be behind us and we will have a contractor to move to the site. “We expect all the six bridges to be completed by end of next year but at various stages of this period, we will have some completed. Within six months we could have the first one but we expect that by the end of the year we will have all six bridges,” Mr Koray said. Another resident is incensed. Michael Nii Amartey has lost three close friends to accidents on the highway. “So should we keep dying until 2019,” he queried. Since the construction of the highway, residents have pleaded for the footbridges to be constructed to no avail. 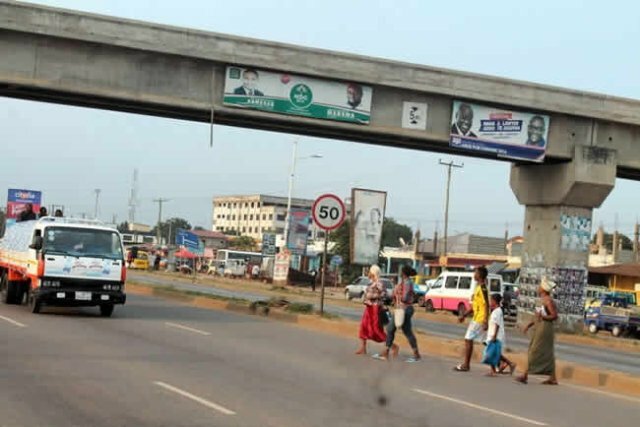 The lack of footbridges has claimed the lives of many and maimed many more. Having had enough, they served notice to embark on a demonstration to register their displeasure over government’s failure to construct the bridges. Last Friday, the angry residents blocked the roads in protests after a hit and run led to the death of a woman.